Contributions were made to this article by Al M. Gray, President of Cost Recovery Works, Inc., a provider of Cost Avoidance and Cost Recovery for America’s leading companies, businesses and governments desiring Superior Returns. This just in. 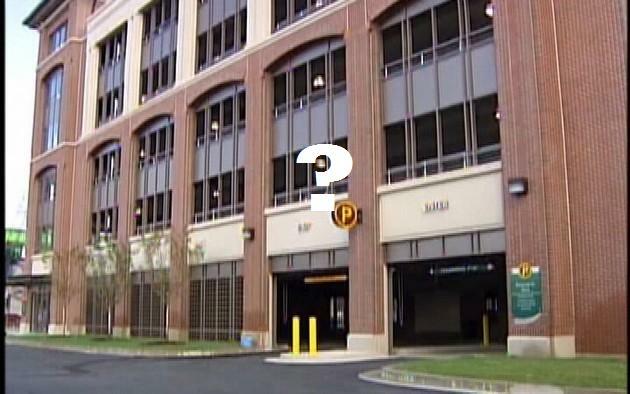 The revised management agreement for the new $12 million Reynolds Street parking deck has failed to win approval in committee. In a 2-2 tie vote, the motion to send the deck agreement to the full commission with committee recommendation failed by default. Committee members Jerry Brigham and Wayne Guilfoyle voted in favor of sending the deck management agreement forward without a recommendation. Commissioners Alvin Mason and William Lockett were opposed. It takes at least 3 votes to pass a motion. Ties cannot be broken in committee and thus the motion fails by default. This vote comes amid a new controversy that City Stink broke last week revealing that there are liens on the property under the deck held by Wells Fargo Bank (formerly Wachovia) as collateral for a loan to prospective deck operator Augusta Riverfront LLC for more than $7,000,000. Commissioner Bill Lockett wanted to hold off on the vote altogether to proceed with the management agreement until after a forensic audit of the land transactions and financing of the parking deck is completed. Brigham asked if the forensic audit was germane to the discussion over the management agreement. General counsel Andrew McKenzie said that it was. Lockett’s motion to delay the agreement pending the outcome of the fornsic audit failed 2-2 with Guilfoyle and Brigham opposed. The attorney who handled most of the legal transactions for the city over the parking deck, Jim Plunkett, was in the hot seat at today’s committee meeting. As we told you last Friday, commissioners were never told about the liens by Plunkett or city administrator Fred Russell, nor were they told that a parcel under the TEE Center itself was never deeded over to the city by Augusta Riverfront LLC as it was promised on multiple occassions. That took most commissioners by complete surprise. Some commissioners were calling for Plunkett to be removed as the attorney overseeing the project on behalf of the city. That sparked Fred Russell to jump to Plunkett’s defense. Committee chairman Jerry Brigham shouted over everyone that he had heard enough. Attorney Jim Plunkett told commissioners that he had an agreement from Wachovia (now Wells Fargo) for release from the liens prior to construction of the deck. Plunkett also told commissioners that easments could not be established until after construction of the deck was completed. From the expressions on the faces of commissioners and others in the chambers, it was obvious not many people were buying that line. Bill Lockett asked about the timing and the release of information and why commissioners were consistently left out of the loop. Commissioner Aitken, who is not on the committee but was present in the chambers for other business, urged committee members to forward the parking deck on to the full commission for approval saying that he was proud that Augusta Riverfront LLC gave things up in the new agreement. But the revised agreement only had minor tweaks and did not address deeding the land to the city as commissioners were originally told it would be at the Dec. 9th, 2009 commission meeting where the TEE Center and deck were approved. But for now, the management agreement is stalled until commissioners get more information. But the city finds itself in a real pickle. According to Jim Plunkett an agreement between the city and Augusta Riverfront LLC must occur before the air rights will be released. Now the big question is: What happens next? Bowles was absent from the committee meetings today. His position on the matter is crucial. Now the agreement moves on to the full commission next week without any action or recommendation from the committee. All eyes will be watching Bowles. He could be the wild card in all of this. Tagged Augusta Commission, Augusta Politics, TEE Center, TEE Parking Deck Saga.